Tom Raines has been living as a drifter with his gambler father when the military tracks him down and offers him a place in the Pentagonal Spire to train for the Intersolar Forces because of his extraordinary gaming skills. INSIGNIA is such a fun novel and I wish it were the start of a series (but I think it's not) because I'd love to spend more time with Tom, Yuri, Wyatt and Medusa. I read this a couple of weeks ago and I still can't get the characters out of my head. I also loved the fast-paced plot and Tom's wit. 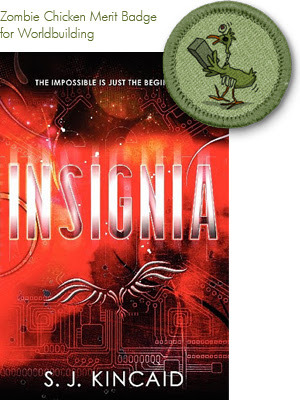 INSIGNIA gets the Zombie Chicken Merit Badge for Worldbuilding because I totally believed this future where nations fight their battles in space with soldiers that are part man, part machine. Can I get a sequel please? Because SJ is an Apocalypsie (Debut Author 2012), we get an Apocalypsies Love interview today too! I had a lot of fun writing Tom and Karl's pathetic duel. "Uh-oh. Looks like you have spicy Indian on your lips." I racked my brain for so long, trying to think up a cheesy pick-up line, and then I knew. It was like some profound revelation. I liked setting a casual conversation between Tom and Vik in the middle of the Battle of Stalingrad, just because it was such a bloody, gory, horrendous battle, yet they're just talking about a girl there. My favorite would probably be Vik, but I love them all for different reasons. I have no thoughts for a spin-off book right now, though if I were to name one who would be likeliest, it would have to be Wyatt. She has a lot in common with the protag. of the first manuscript I ever wrote, and there are so many fun things to do with a hyper-right brained character like her. I really enjoyed getting a chance to tour, and meet a few people who had already read the book. Also, the authors I toured with - Veronica Roth, Dan Wells, and Aprilynne Pike - were so incredibly awesome. It was great getting to know them. I have one hardcover copy of INSIGNIA provided by HarperCollins up for grabs! To enter, fill out this form by August 10, 2012 at 11:59 pm CST. Open US only. Bahahahaha, omg, that pick up line. I may die. That's fantastic. Reminds me a bit of Kevin G. from Mean Girls. 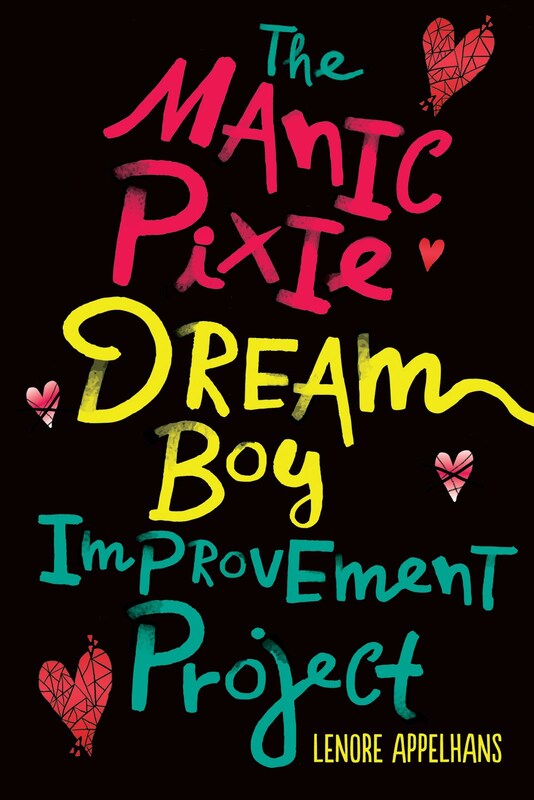 So excited for this book! This is a book that I would get for my son, considering the fact that he is a major gamer. I bet he and his father would both love it. Great post on this one today! I like that this isn't the start of a series. I'm really enjoying standalones. Insignia is actually the first book in a trilogy.